Photographer’s notes: OK, it was the tattoo collection that had me stop this rider. 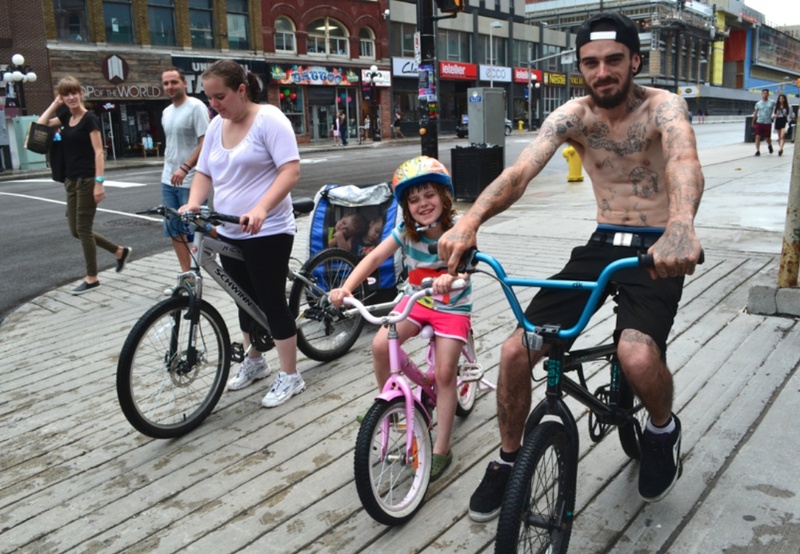 He was out with his sister and her kids, riding through the city centre together. I expected him to talk about the BMX, but his interest in bikes is eclectic. Now I wish I had a shot of him on a unicycle. This entry was posted in BMX, commuter, family, kids on bikes, North America. Bookmark the permalink.